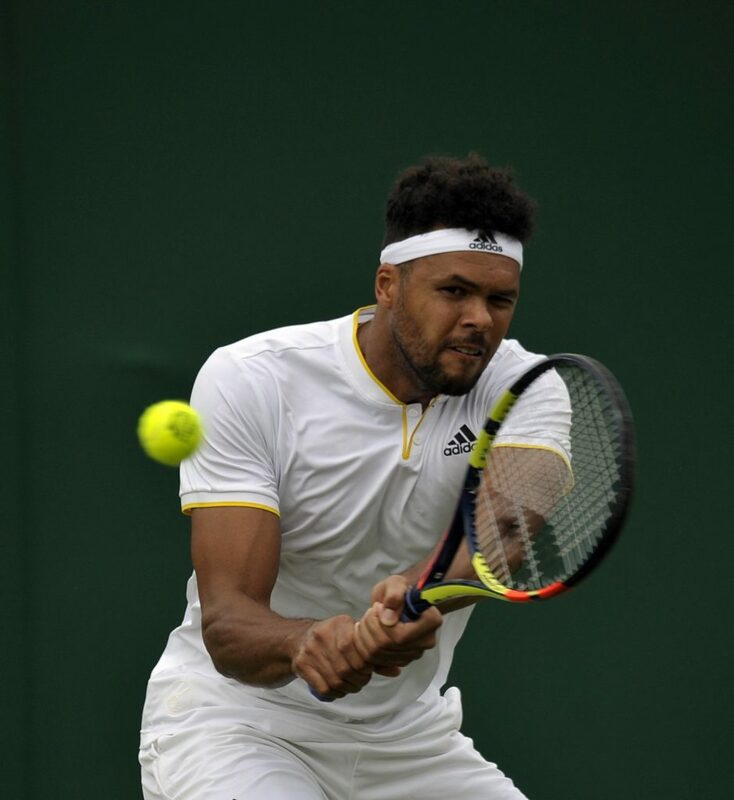 French team officials remain optimistic that Jo-Wilfried Tsonga will recover from a minor shoulder complaint in time to compete in the Davis Cup final against Croatia this weekend. Coach Loic Courteau said the former French No. 1 Tsonga was forced to abort training this week, but he added the 33-year-old should be fit when the tie begins today in Lille. “Jo is doing well,” Courteau told French media. “We had a pretty busy week last week. French captain Yannick Noah sprang a surprise at yesterday’s final draw ceremony when he named Jeremy Chardy and Tsonga as his singles players for the opening day’s action in Lille. Already without the likes of Richard Gasquet and Gael Monfils for the final against Croatia, Noah decided to leave out the top-ranked Lucas Pouille. World No. 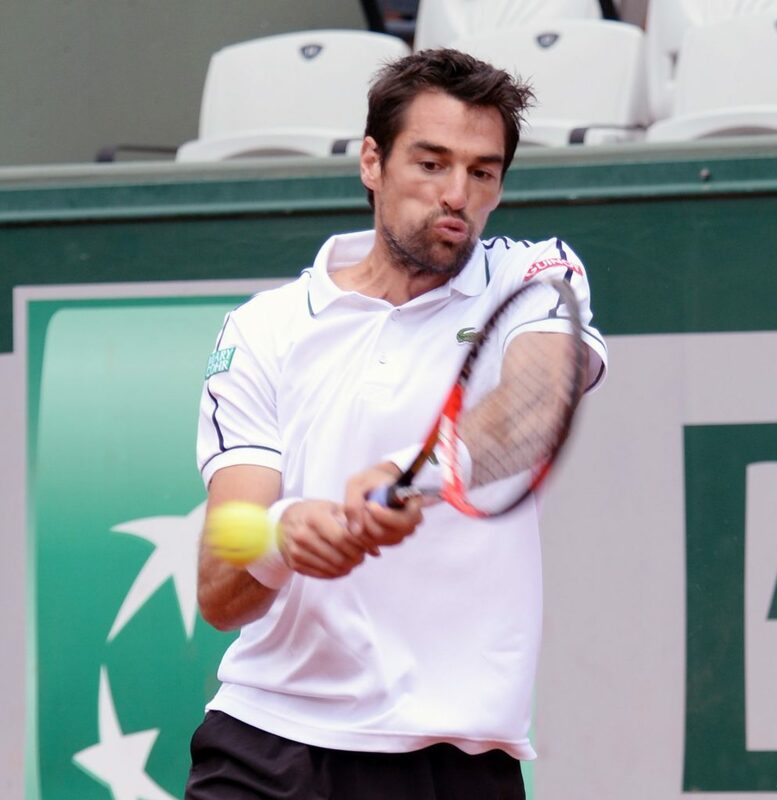 40 Chardy will open the final against Croatia’s Borna Coric with Tsonga then meeting Marin Cilic. Leaving out Pouille is a potential gamble although the 33-year-old Tsonga played in last year’s final when France beat Belgium. Tomorrow’s doubles will see home pairing Nicolas Mahut and Pierre Hugues-Herbert take on Mate Pavic and Ivan Dodig. Sunday’s reverse singles will see Tsonga face Coric and Chardy take on Cilic, although the captains are allowed to change their teams. 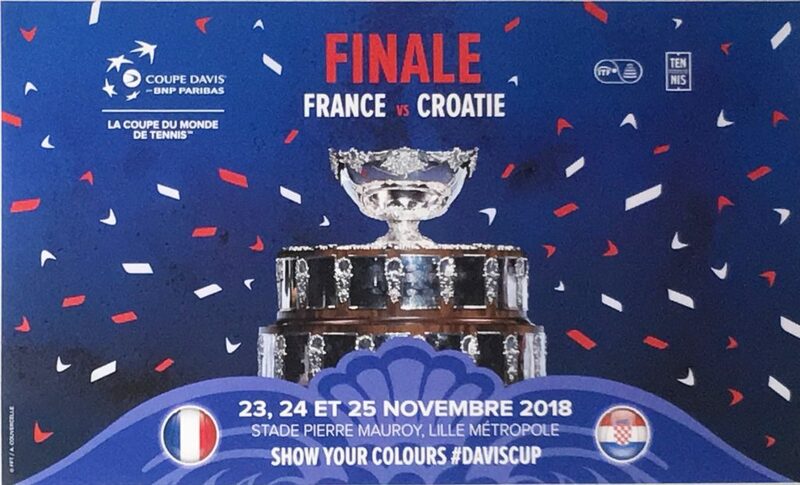 France are trying to retain the trophy in the worldwide team competition at the world but are missing top players including Gael Monfils and Gilles Simon. 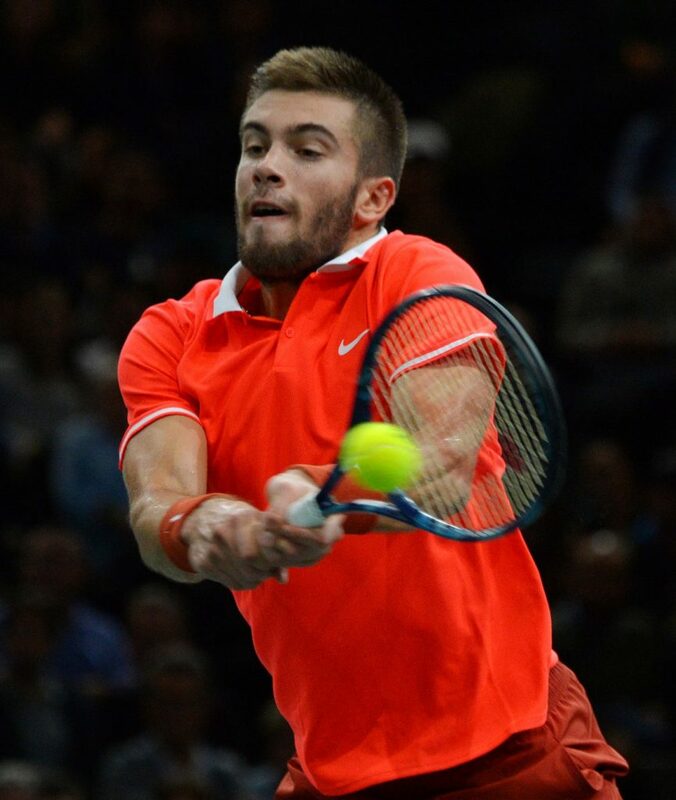 Croatia will be led by the one-two punch on the clay of Marin Cilic and Borna Coric as it faces a French side without a single player in the ranking top 30. France are aiming for back-to-back titles for the first time since 1932, when it won a sixth on the trot. Fighting for the home side will be Lucas Pouille, Jeremy Chardy, Pierre-Hugues Herbert, Nicolas Mahut and Tsonga. Croatia lost the 2016 final at home against Argentina, lifting its lone Davis title in 2005. France have a six-tie winning streak at home; but Croatia have not lost an away match in three years. Cilic, who drove straight from the ATP Finals in London to Lille, says it is difficult to say one team is favourite. “Both teams have their own advantages,” he said. “But I will be ready. We’ve had Davis Cup ties already on clay immediately after hard court tournaments,” he said, referencing the quick change of surface from London to Lille. The ATP No. 7 heads the visiting side as Croatia play in a second Davis Final in the last three editions; in 2016 they lost to Argentina. But captain Zeljko Krajan is hoping to inspire his side by challenging them to come good after Croatia lost the football World Cup final to the French last July in Moscow. In doubles, specialist Mate Pavic has made the same switch as Cilic after competing in the London season wrap-up. The 25-year-old will be desperate for a fist victory in the international team competition after losing four previous rubber. Play begins today at the Stade Pierre Mauroy, which is expected to be packed out for the competition. 1.40pm: Opening ceremony, followed by the presentation of the teams. 2pm: The first two singles matches (best of five sets). 1.50pm: Presentation of the teams, followed by the doubles at 2pm (best of five sets). Bill Scott is a long-established freelance sports writer, working with AFP, dpa and other international agency outlets. Bill attends the grand slams and also regularly covers ATP 1000 / ATP 500 events. Wimbledon-in-the-desert might someday be a possibility, according to open-minded ATP Player Council president Novak Djokovic. Rafael Nadal showed zero signs of the knee injury which forced him from his last event, with Spain's 11-time champion starting his quest for a 12th on Wednesday at the Monte Carlo Masters. The TD of next week's Barcelona ATP 500 date has confessed: paying for Rafael Nadal's appearance every year is a budget-buster. Former great Boris Becker believes his native Germany is desperate for a return to the glory days of a few decades ago when he and Steffi Graff double-handedly sparked a national tennis boom. Britain could lose the rights to host the ATP Tour World Finals in November with Turin the unlikely favourite to take over as host to the season’s top eight male singles players and doubles teams. Novak Djokovic had to struggle to avoid a disastrous start to his clay season, with the top seed barely holding off Philipp Kohlschreiber 6-3, 4-6, 6-4 in his opening second-round match at the Monte Carlo Masters on Tuesday.